« ANNIHILATOR “For The Demented” – New Studio Album Releases On November 3rd! 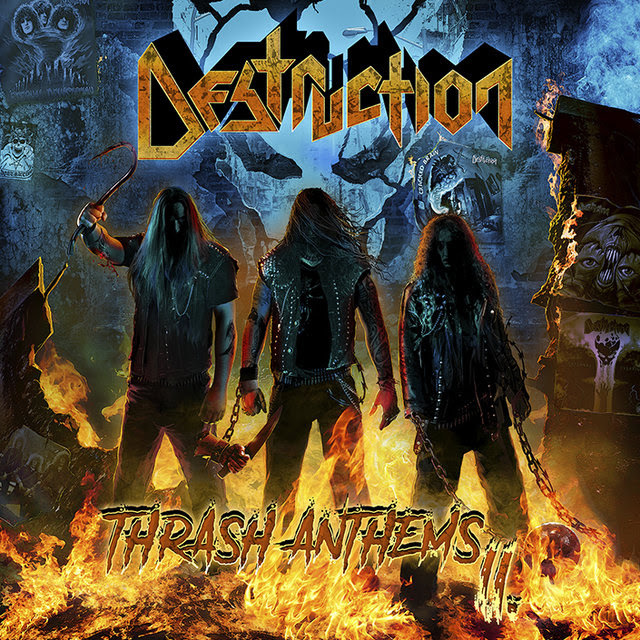 DESTRUCTION “Thrash Anthems II” – Releases On November 11th, via Nuclear Blast Records! In 2007, DESTRUCTION proved how successful re-recording some of their timeless classics and re-imagining history could be. The follow-up to 2007’s Thrash Anthems is ready to rock the Metal world and shows how fans can be part of both a band’s history and future. For Thrash Anthems II, DESTRUCTION called upon on their loyal fans through PledgeMusic to help them create the record and contribute to the band’s epic history. “As it is a part of our past to relaunch classic songs from our history with a fresh face and we had many demands on a Thrash Anthems continuation, we decided to do a second part of this re-animation of classic 80s DESTRUCTION material. For us it was important to choose the tracks with the fans and first when NB did not wanna do the album, we decided to do a pledge campaign to raise the funds for the production, together with the die hards. LONG LIVE OLD SCHOOL THRASH METAL. This entry was posted on September 17, 2017 at 4:37 pm and is filed under Hard Rock, Heavy Metal, Music, music news, news, rock music, world news with tags destruction, Heavy Metal, metal albums 2017, metal odyssey, rock music news, Thrash Metal. You can follow any responses to this entry through the RSS 2.0 feed. You can leave a response, or trackback from your own site.